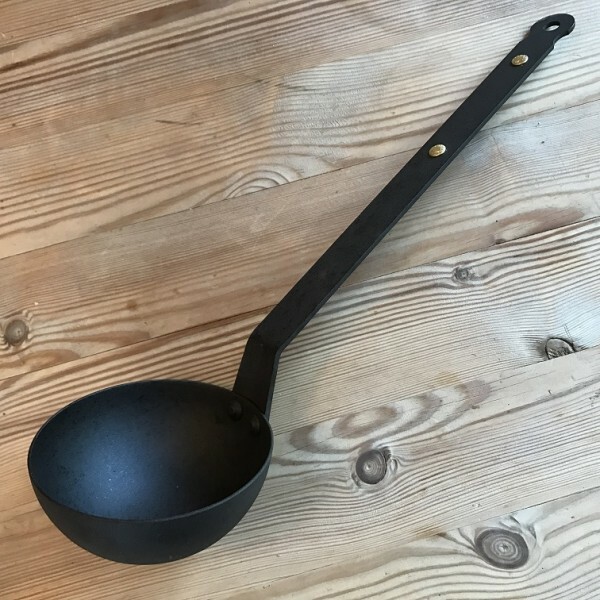 Shropshire made, black iron Egg Spoon, a flat handy ladle. 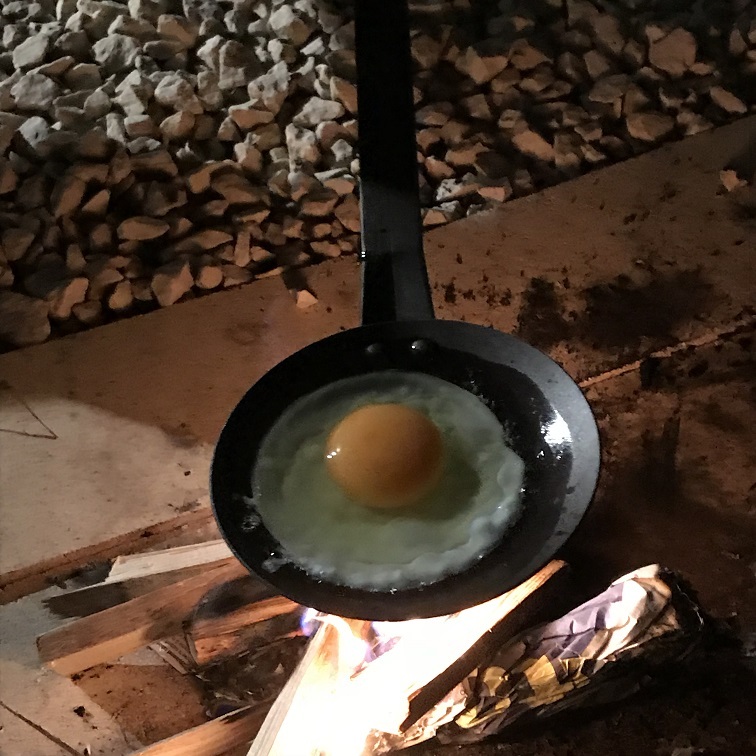 The cathartic way to cook a single egg over flames. 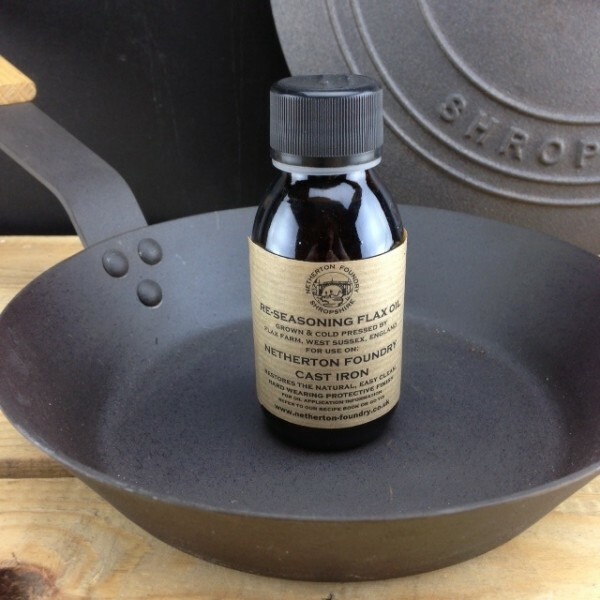 One of the great things about running Netherton Foundry is that we get to meet creative people who inspire us to make interesting items. 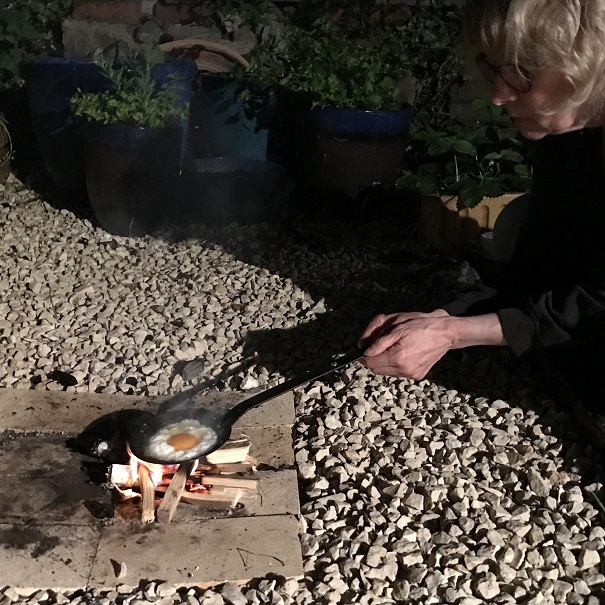 In this case Ishita wanted an Egg Spoon, a simple way of cooking an egg over an open fire, gas burner or hob. 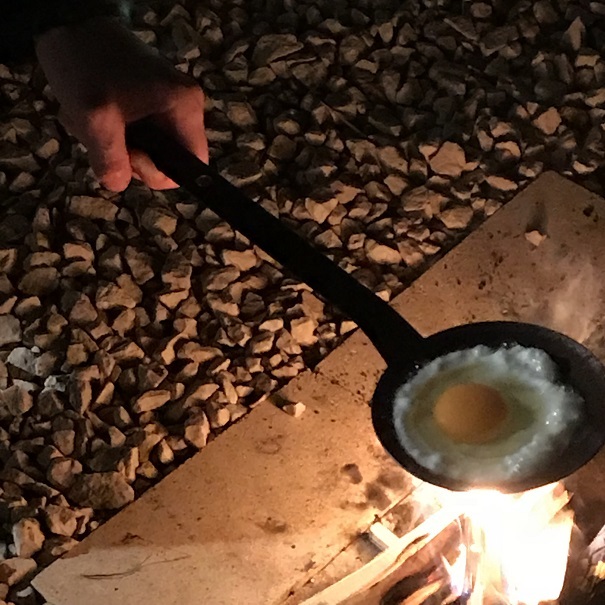 Well, we thought this was a crazy idea.....so we made her one! 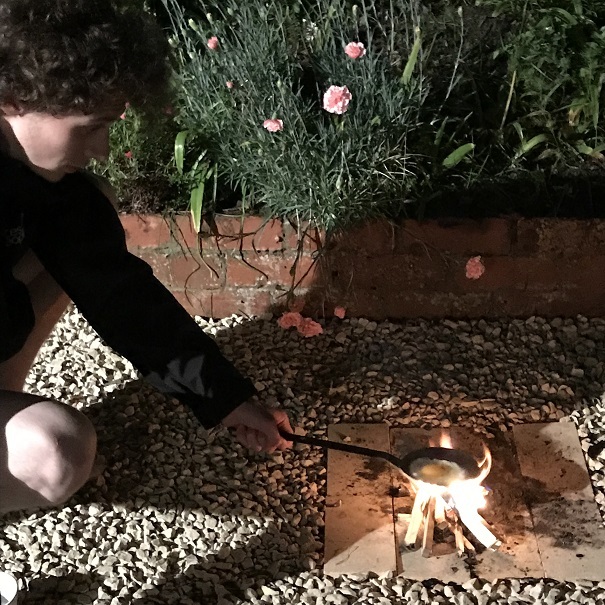 If you want to stare into the flames of an open fire whilst preparing satisfiying simple comfort food, we can make you one too. 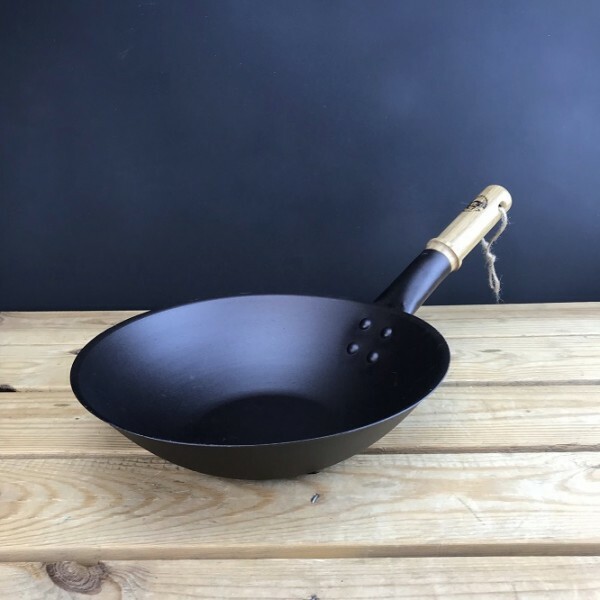 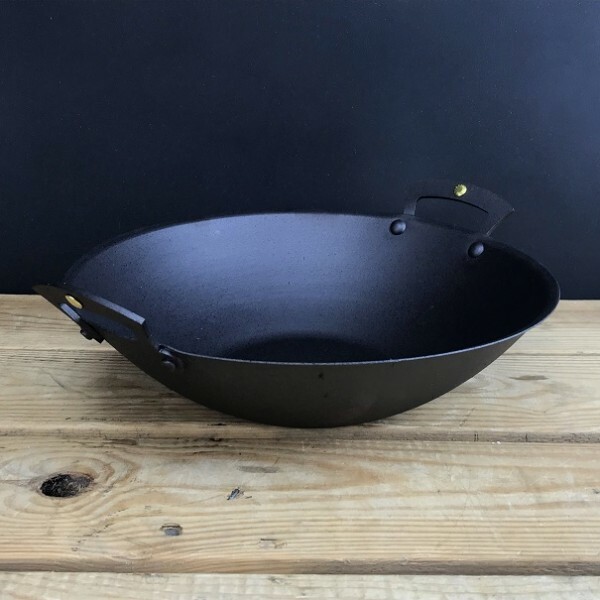 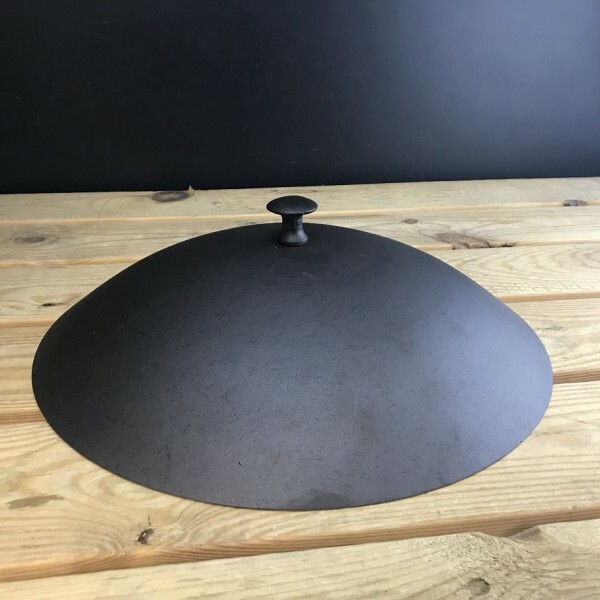 It's perfect for stirring, adding and removing food from woks, frying pans, saucepans and casseroles. A useful tool for all cooks as it's safe to use at oven and at frying temperatures. 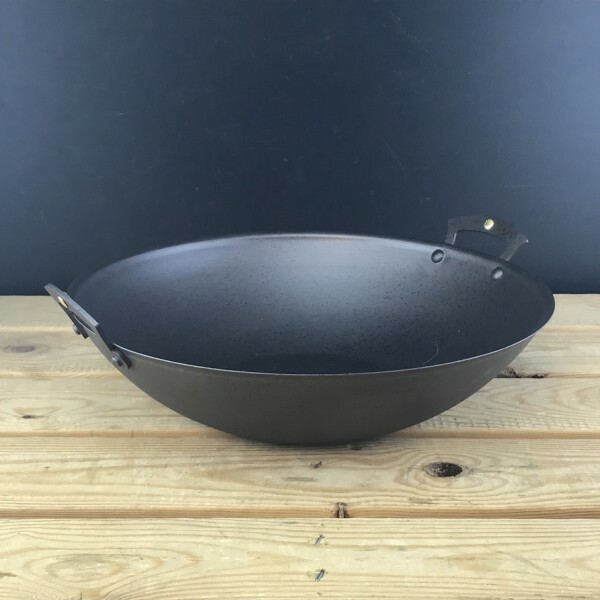 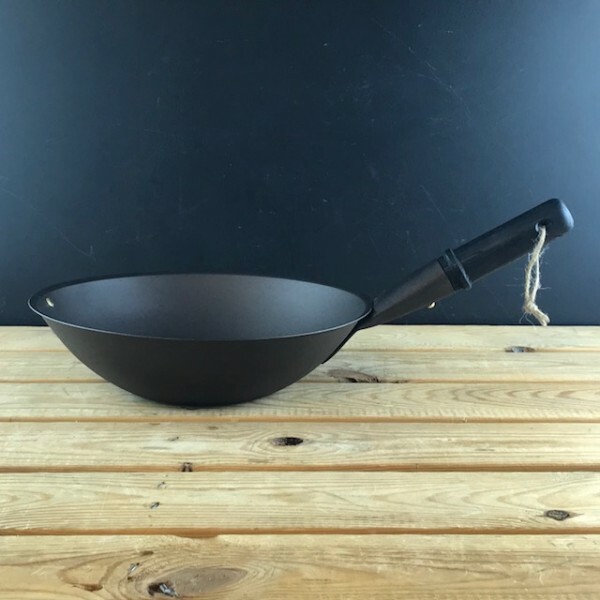 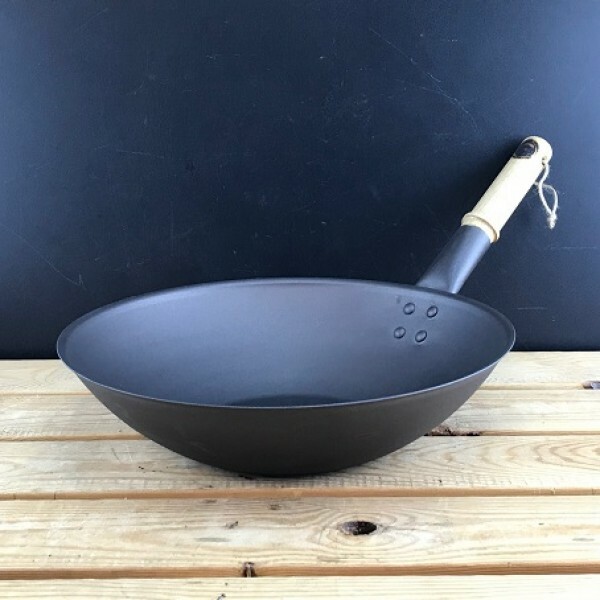 Heavy duty spun iron bowl with black iron handle. 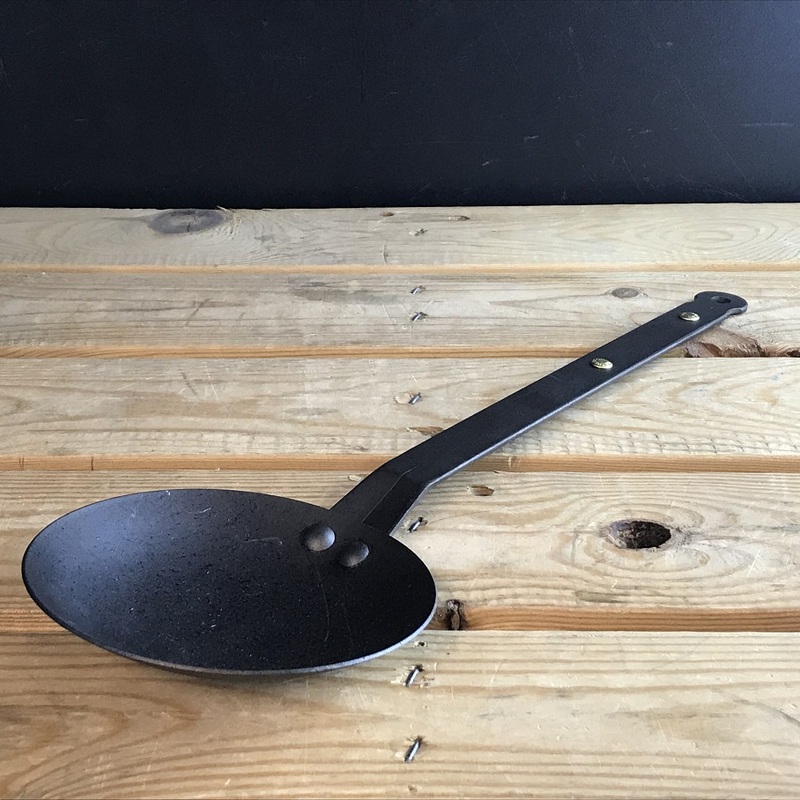 The durable 99.1% pure iron is pre-seasoned with organic flax oil for a natural non-stick finish & easy to clean. 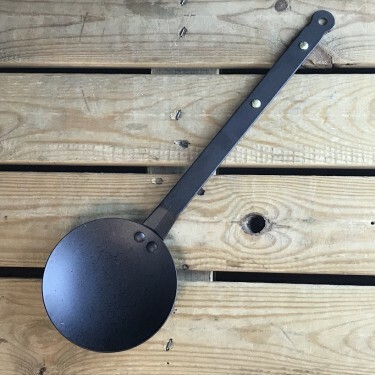 Hand made and assembled with two solid iron rivets. 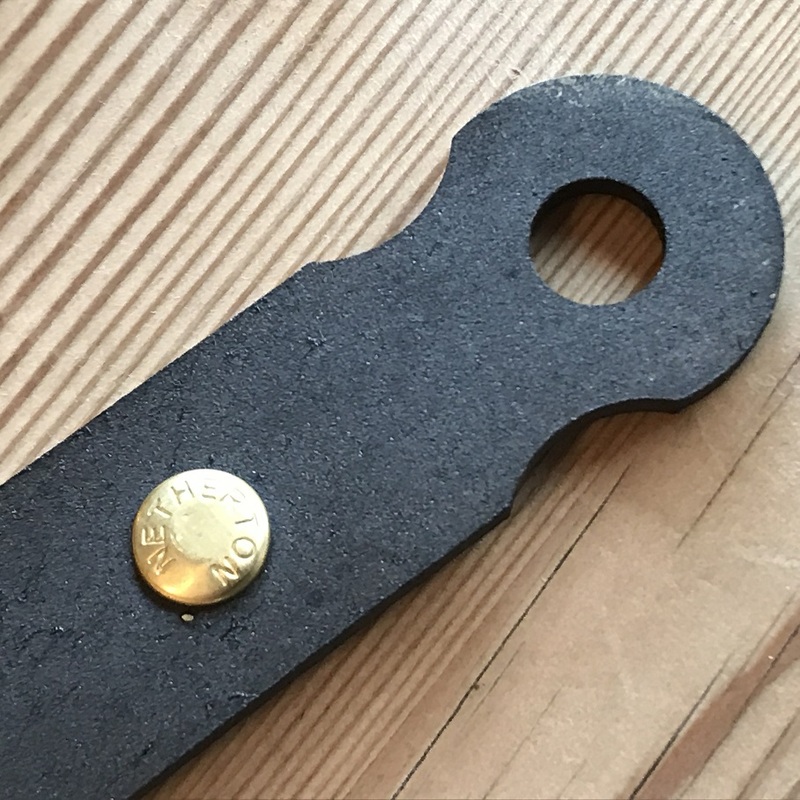 Highlighted with two Netherton brand brass rivets. 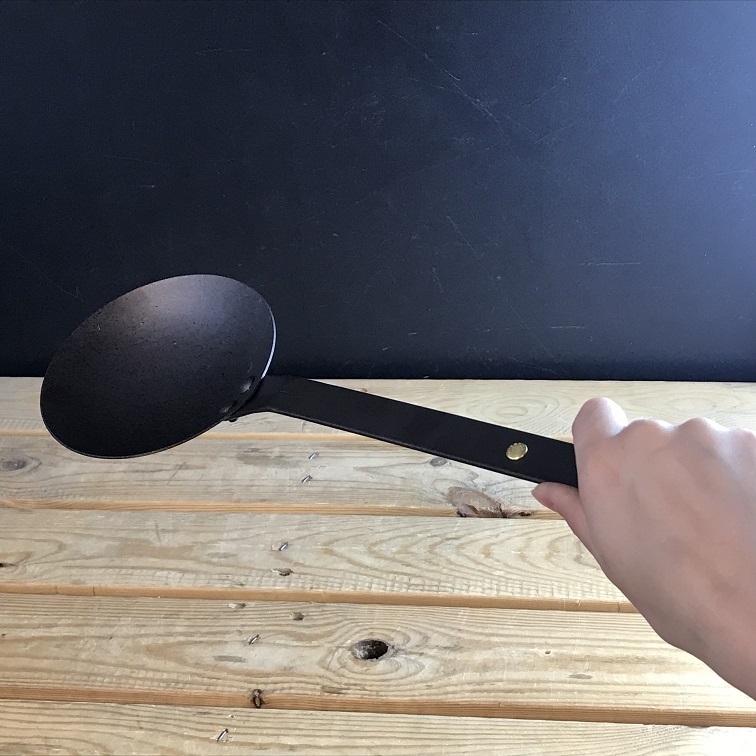 Why choose a pre- seasoned Egg Spoon.